Saving Canada’s wetlands: A conservation group that’s working with pipeline companies? Of all the ecosystems in the world, wetlands are one of the richest in biodiversity. In fact, they’re second only to rainforests. 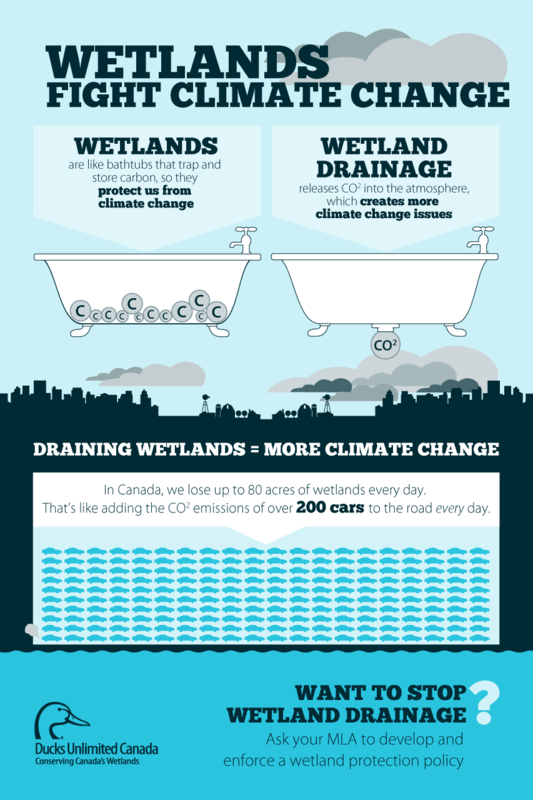 In Canada, we’re caretakers of a quarter of the world’s wetlands. Sadly, every day we lose 80 acres of this national treasure due to development. Ducks Unlimited Canada is determined to stop that trend, and they often choose to work with the private sector, including the pipeline industry, to make that happen. What are wetlands and why should you care? Did you know wetlands trap and store carbon, helping to reduce impact on the atmosphere? By working directly with conservation organizations, pipeline companies can better balance environmental protection with economic development. “They recognize that social license must be earned by showing due diligence. We think the leaders in the industry can do a lot to prove that environmental protection is good for business,” Curtis said. We think the leaders in the industry can do a lot to prove that environmental protection is good for business. What can be gained by working together? By working with conservation groups, pipeline companies get access to a wealth of information that can help them better protect the environment. For example, Ducks Unlimited Canada has GIS maps, available to industry, that classify wetlands and outline conservation tools for specific areas. And by working with pipeline companies, conservation groups can see real improvement in the way Canada develops its infrastructure. And, when companies see the value in protecting wetlands, they may decide to help fund important conservation projects. “We’ve received generous support for our wetland restoration projects and education programs (from pipeline companies),” explained Curtis. Economic development and environmental protection: Is there a balance? We live in a world working to balance population growth and quality of life with environmental protection. So, now more than ever, collaboration is needed to find solutions that allow us to have both prosperity and sustainability. Curtis believes we can find that balance through sustainable land use. He would encourage pipeline companies to work with conservation organizations, like Ducks Unlimited Canada, to find ways to develop and share information and improve best practices. Conserving Canada’s immense natural resources will keep “our ecosystems and our economy sustainable for years to come,” he explained. “Thriving economies and thriving ecosystems go hand-in-hand,” he stated. Want to learn more about how the pipeline industry is working to balance development and environmental protection? Read other stories in our “Pipelines exposed” blog series.